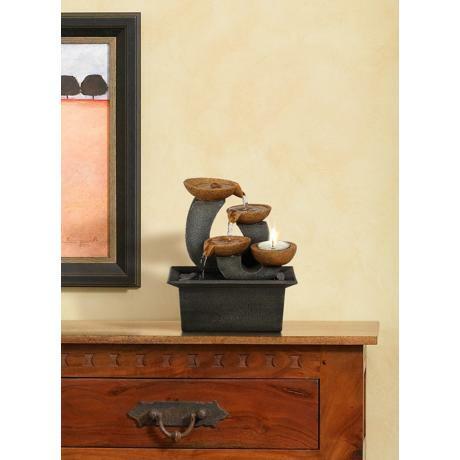 This little tabletop fountain adds a bit of soothing sound to a room or entryway. 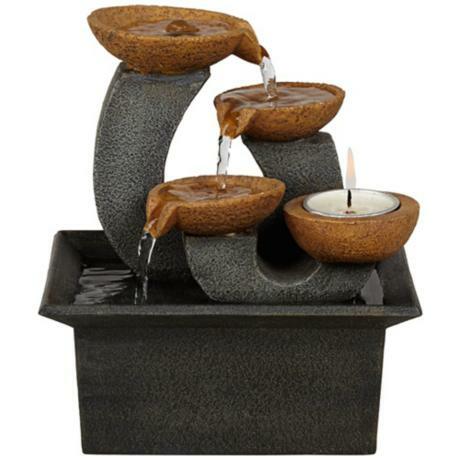 Simple and versatile, this mini tabletop fountain offers a bit of serenity for your living spaces. Three bowls drip water into the rectangular basi, while a fourth little bowl holds a votive candle for soft, comforting illumination. Pump and halogen light included. 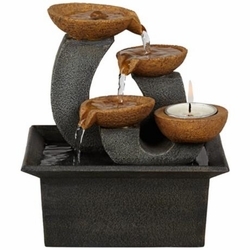 • Three cups and candle tabletop fountain. • Fourth bowl holds a votive candle (not included). • Includes six feet of cord.